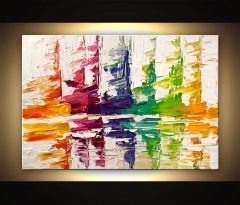 You can purchase the art paintings directly. Total size: 36x24 inches . 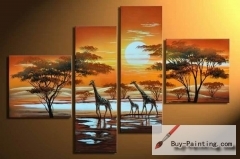 If the paintings are stock in our studios,the paintings will be shipped out within 3 days after you done the payment.if it is not in stock,we are sure that it will be shipped out within 15 days,thanks for your understand and patient,once the item be shipped out ,we will tell you the tracking number asap. Please note the paintings are NOT framed. All the paintings will be shipped out rolled in a tube by default! All the paintings will be shipped out rolled in a tube by default! Don't worry that the painting is rolled - its safe 100% safe and the painting comes back to it's original state once you stretch it back on a wooden base.To have the painting stretched is a relatively inexpensive process from your local framer or it's quite easy to do yourself. If you need frame it,feel free to contact with us. Good Informations for custom the painting. If you find one favorite painting from somewhere,and you would like to own it,we are glad to say that you can custom the painting from us,following is the custom process. 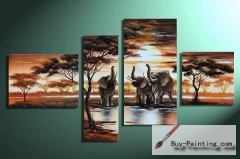 Step 1,Just send us the pictures you would like to be painted to our mail: order@buy-painting.com , tell us the size and your requirement,we will send you the detailed quote within 24 hours. Step 2,After you done the payment,we will start to paint. Step 3,In usual,the painting will be completed around 7-15 days. If you need rush order,please tell us. Step 4, Then,we will send you the photos of the finished paintings to confirm,when you confirm it,we will ship it out asap.